Sometimes family history and genealogy is about more than just names, dates and events. Sometimes it is about discovering who we are and why we are the person we came to be. It is about traits and values that somehow made it from our ancestors to us. Today, I thought I would discuss something within this topic. One summer when I was 6, I stayed for a week or two with my Grandma Mary. I know I had to be a pain because I was one of those little girls that cried and screamed over any little thing that upset my apple cart. While playing one day, my uncle Jimmy (he was only two years older than me) ran up and "kidnapped" my favorite doll in the whole world..........my Holly Hobby's best friend, Heather, doll. He said he was going to kill her by ripping her head off and then rip her arms off and throw her away where I would never see her again! Uh oh...........there went my apple cart! After she got me calmed down and I had my dear Heather doll safely in my arms, grandma put her arm around me and walked me out to the front porch. She sat me down on a little bench. She sat down beside me, put her arm around me and pulled me close to her side. Then she said, "Now honey, I know it made you upset when Jimmy took your doll, but you can't keep acting like that. You are special and you will have to grow up to be a strong woman. You see, Grandma Bessie is my mom and she was the oldest of her generation and she had to be strong to take care of the whole family. Then, I was the oldest of my generation and now I have to be strong and take care of the whole family. Your mom is the oldest of her generation and one day, she will have to be strong and take care of our whole family. And, sweetie, you are the oldest of your generation, so when your mom can no longer do it, you will have to be strong and take care of our whole family. You can't go around screaming and crying over everything. You have to be brave and strong for all of us. Do you understand?" I nodded my head yes but didn't fully appreciate what she said until I was grown. I did grow up to be a very strong person. For a long time, since my Grandma Mary was white, I assumed I must have inherited that from my white ancestors. Then, I learned more about my Cherokee grandmothers. I learned about my Grandma Nancy, who became a widow at 37, being left with 9 children to raise on her own during the peak of the Depression. She was a very hard worker who took in laundry whenever she could to make money to support her children. Life was hard for her, but she was a strong woman and she managed because she had to be strong for her family. 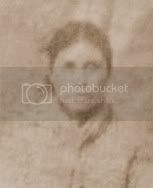 I learned about my great great great grandma Sarah, who was left a widow in her 30s and was denied her husband's Civil War pension because she had a child with another man long after her husband's death. The pension board decided she was not entitled to it because she had loose morals and was not married in the traditional white way. In her pension application, Sarah sent a letter asking them to come soon because she didn't know how much longer she could make it. They never came, but Sarah lived several more years and raised one of her granddaughters who was left an orphan. Life was hard for her but she was a strong woman and she managed because she had to be strong for her family. 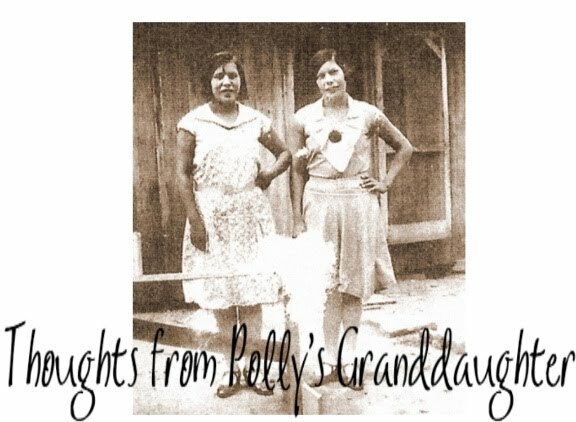 I also learned about my great great great grandma Polly. She lost her first husband during the Civil War and became a widow in her 30s. She married again and together, she and her husband raised her two children from her previous marriage; their three children; a niece, who was left an orphan after the war; and another unrelated orphan. After her husband died, even though Grandma Polly was nearly 70 years old, she raised three more children--her grand nephew and two granddaughters--all who were motherless. I imagine life was hard for her but she was a strong woman and she managed because she had to be strong for her family. So, where did my inner strength come from? Did I get it from my white side or my Indian side? My guess is it came from both. My mother is the strongest woman I know. She is my Grandma Mary's daughter and my Grandma Nancy's granddaughter. And Grandma Nancy was the granddaughter of both GGG Grandma Sarah and GGG Grandma Polly. All of these lines of strong women merged together with the birth of my mother. Through her, I inherited the strength and courage to face whatever comes my way. Grandma Mary gave me the message that I will remember and treasure for the rest of my life, but all of my grandma's have given me the strength that will get me through the rest of my life. I am a strong woman and I will manage because I have to be strong for my family. What a wonderful story! Thank you for sharing it with us. It brought tears to my eyes. You are welcome. Thank you for your comment. I am glad you liked it. My aunt did a ton of geneology as a mormon and gave me a pedigree chart and an application to join the Chewah Cherokee Nation. It's never been a secret that our family has Indian heritage. My Great GrandPap always said he stole his wife from the tribe in the middle of the night and ran like the wind. My question is how do we know if it is authentic?